Some colleagues and I were traveling to Caldwell College recently, and just before we turned off Bloomfield Avenue onto the campus, I pointed out a cottage across the street. “That’s the birthplace of Grover Cleveland,” I said. Someone in the car might have grunted — I’m not sure — but otherwise there was no reaction. How could this be? 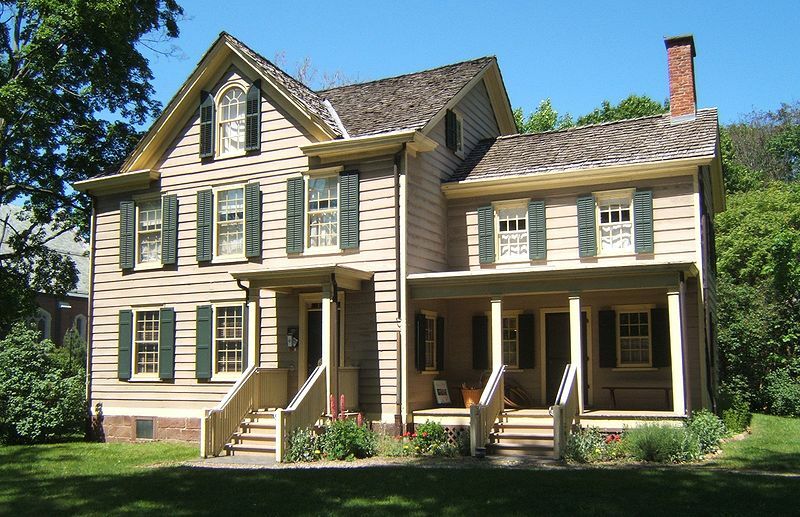 Cleveland was the only president born in New Jersey and one of only two who died here. But we get to count him twice, because he was both the 22nd and 24th presidents. And nobody cares? OK, he wasn’t Mr. Glamor — no Washington, Jackson, Lincoln, or either of the Roosevelts. In fact, he was part of that lineup of boring personalities from Rutherford B. Hayes to William McKinley. Even his non-consecutive terms aren’t enough to make his name a household word, or even vaguely familiar. Well, my colleagues might disregard Cleveland, but he gets a lot of attention in Kenneth C. Davis’s new book, Don’t Know Much about the American Presidents. Davis reports that Cleveland was only four years old when his family moved to New York and that he didn’t return to New Jersey until after he had retired from the presidency. Cleveland, a former mayor of Buffalo and governor of New York, was president during a period of violent labor strife in both of his terms and near economic calamity in his second. It the era of robber barons, rampant corruption in business and politics. The United States was still on the gold standard at that time and nearly ran out of reserves before Cleveland struck a deal in which J.P. Morgan, the Rothschilds and other financial interests bought American bonds, in several sales, to replenish the gold and stabilize what was then largely a free-market economy. Davis gives final grades to most of the presidents he writes about, sparing those who died too soon after taking office and Barack Obama, who hasn’t yet served a whole term. 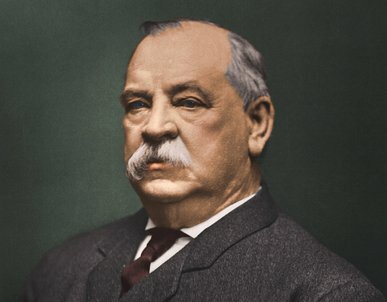 Cleveland gets a B, not because he was a visionary or an inspiring leader, but because he was scrupulously honest and because he was the first president since the ill-starred Andrew Johnson to stand up to Congress and restore at least some of the prestige and power the presidency had lost after the murder of Abraham Lincoln. Davis provides some context for his discussions of the 44 presidential administrations with an opening section on how the presidency, more or less as we know it, was created. 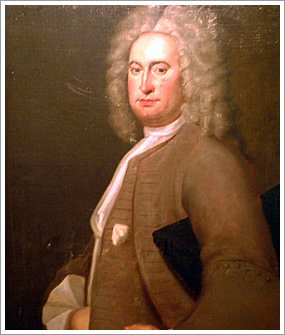 He points out that the title “president of the United States in Congress assembled” was conferred on 14 men — including John Hancock, who held the title twice — before the election of George Washington as the more succinctly named “president of the United States.” The first of these was Peyton Randolph of Virginia, who presided over the Continental Congress in 1774. Davis explains that the failures of the Articles of Confederation made it clear to many American leaders that the government needed a strong executive presence, but determining what that executive should consist of was problematic. There was no model to base it on, and many Americans were wary of a strong executive because they feared abuse of power and the possibility of the kind of hereditary succession they had left behind in Great Britain. Indeed, he writes, one of the reasons Washington was a favorite to take on the newly fashioned presidency was that he had no heirs. Davis follows his presidential profiles with a section in which he discusses what the office has become and what should be done with it. With its compact chapters and its career highlights and timelines, this book provides a means of scanning the whole sweep of American history from the adoption of the Constitution of 1787 to the present. 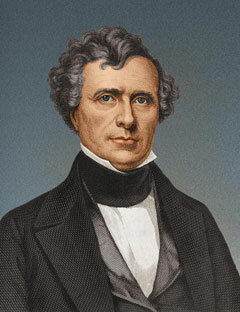 The book also reminds us of the wide range of personalities who have occupied the presidency during that period, from the brooding and self-sacrificing Lincoln, whose murder plunged even some of his bitterest enemies into despair, to the handsome but hapless Franklin Pierce, whose spineless failure to deal with the crisis that led to the Civil War left him in such disrepute that he was the only former president whose death was not officially mourned.